The technological leader of Polish hard coal mining sector and a member of the Enea group, LW Bogdanka conductsintensive works in the Stefanów field. The GRP-2 branch belonging to the Company is in the process of driving a gallery whose target length is to reach about 7,240 metres. It will be the longest gallery in the history of Bogdanka and one of the longest in the world. Works are proceeding faster than it was assumed. The Company started driving the gallery in December 2016. It is to make seam 391 available in the field VIII in Stefanów. This is the deepest lower seam out of the four, found in the mining area of Puchaczów V, for which the Company has a mining licence. The seam is characterised by great thickness, above 2.3 metres in most of the VII and VIII fields as well as by a high calorific value of the coal. Since December 2017 the GRP-2 branch has been ahead of the planned work schedule. In the last month of the previous year, 406.5 metres of the gallery was driven. In January 2018 the number reached 438 metres and in February – 444.8 metres. In March, 512.3 metres was driven. Acceleration of works was possible due to the introduction of innovative solutions, such as the extension of the belt conveyor route, but also due to the experience of the GRP-2 crew specialising in works related to preparatory works. Due to the record length of the bottom gallery, the driving works are a challenge even for such an experienced crew. 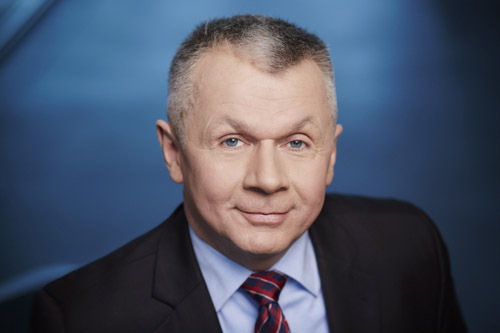 Thanks to its commitment and openness to solutions that improve the efficiency of underground work, it manages to overtake the planned schedule – said Sławomir Karlikowski, Vice-President of the Management Board, Production and Development of LW Bogdanka. Lubelski Węgiel Bogdanka S.A. is the only mine in the Lublin Coal Basin which extracts hard coal. The Company conducts mining operations within the mining area of Puchaczów V which covers 73 km2. It possesses three excavating fields: in Bogdanka, in Nadrybie, and in Stefanów. In autumn 2017, the Company obtained from the Minister of the Environment a mining licence for extraction of hard coal from the Ostrów deposit in the Ludwin Mining Area.